The Great Falls Clinic Legacy Foundation Board is pleased to announce the appointment of Samantha Shinaberger as the Executive Director of the Great Falls Clinic Legacy Foundation. “Shinaberger is passionate about helping patients all over Montana and it truly reflects through her work with the Foundation over the years. We are fortunate to have her leadership in this capacity,” says Wyman Taylor, Board Chairman and President. Shinaberger founded the Foundation and has served as the Foundation’s manager since its inception in 2016. She is currently the only employee of the Foundation and manages the $2.4M capital campaign launched in July of 2017, as well as its day-to-day activities. Shinaberger works closely with Clinic leadership, the Foundation board, and the Leadership Cabinet to promote a successful capital campaign. Shinaberger is also employed by the Great Falls Clinic and oversees marketing, public relations, and physician recruiting. She has been with the Clinic since 2013 and remains active throughout the community of Great Falls by serving on the Lewis and Clark Foundation Board and Executive Committee, as well as involvement with the Great Falls Area Chamber of Commerce and the Great Falls Advertising Federation. 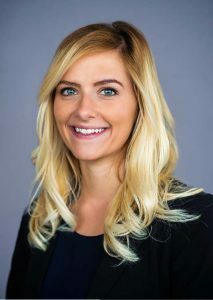 Born and raised in Montana, Shinaberger received her bachelors of science in business administration from MSU-Billings in 2015. She will graduate from the University of Montana College of Business with her master’s degree in business administration in May.